The menu included seafaring items such as New England clam chowder and clam cakes served in red and white clam shack boats. 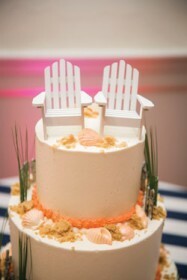 A three-tier wedding cake was transformed into a delectable coastal vision with edible dune grass, seashells, and two Adirondack chairs. 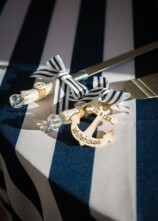 Blue and white striped and coral linens, plus quintessential starfish and anchors beautifully complemented the beach theme. 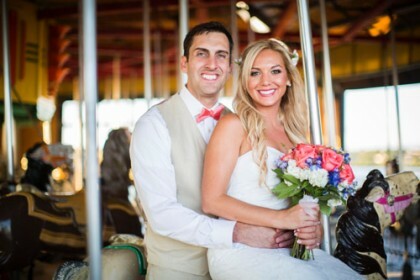 After sunning in Cabo San Lucas, Mexico, the newlyweds returned to their home in Warwick where Amber is an early childhood educator and Jason is a Navy Special Operations senior accountant.